John Tierney, please call home! 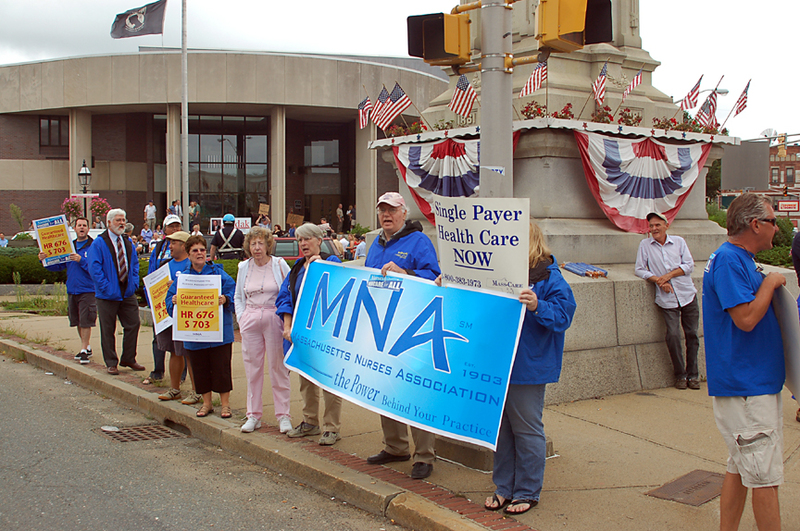 While the rest of the nation's citizens are flocking to "town meetings" sponsored by their elected representatives and senators in the U.S. Congress, we in the 6th Congressional District of Massachusetts are searching for our Congressman, missing in action. 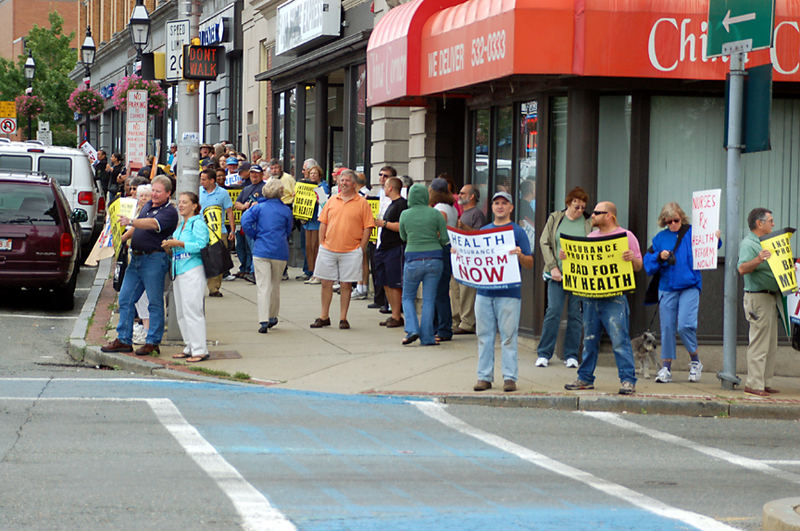 Where is John Tierney, and why won't he listen to us? 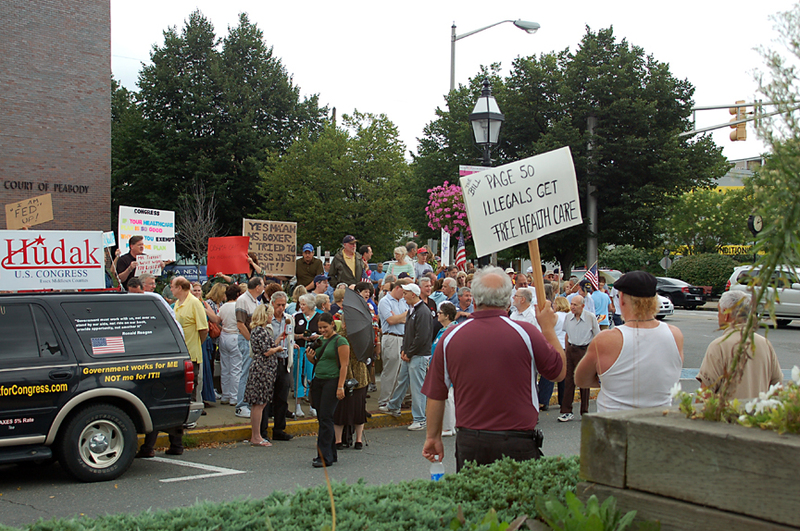 We gathered in Peabody Square on August 13, 2009 to call for a 6th District town meeting with our representative, so far denied. 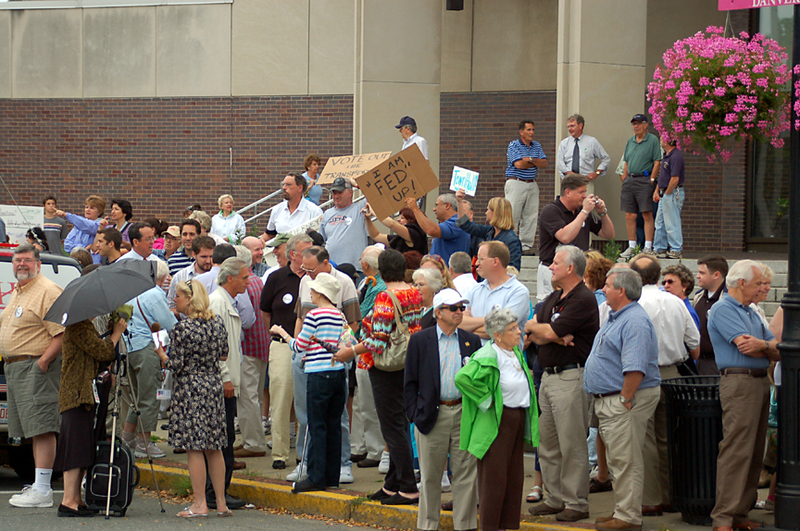 His minions were summoned to quickly assemble in front of his district office, to protect him from his constituents. 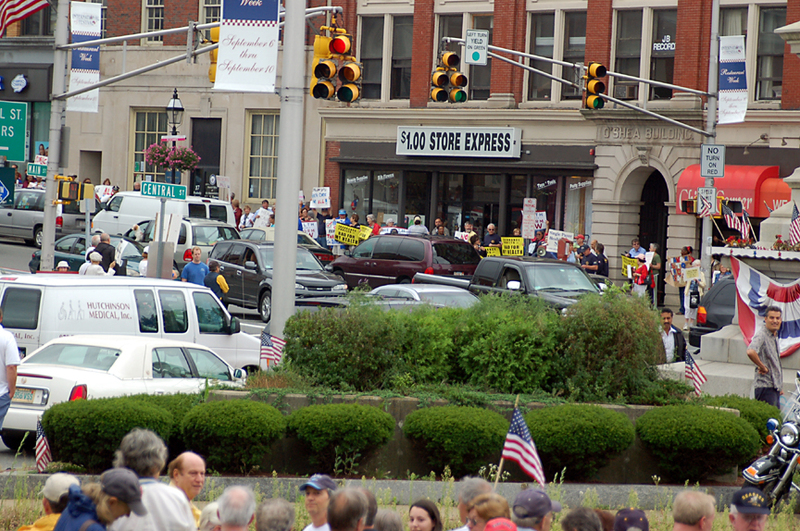 Below are scenes of the gatherings. 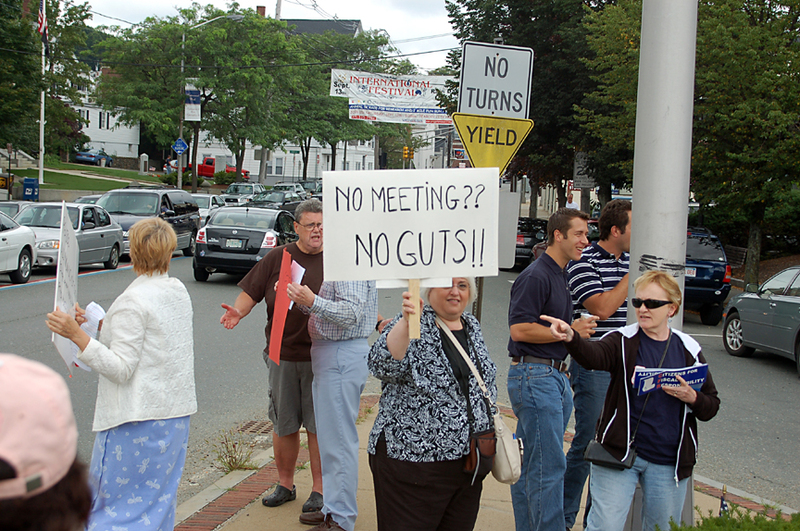 Tierney's troops were called out to defend his office front ... and of course showed up on command ... with professionally prepared signs ... that were promised by Tierney's people when the calls and e-mails went out for "bodies." 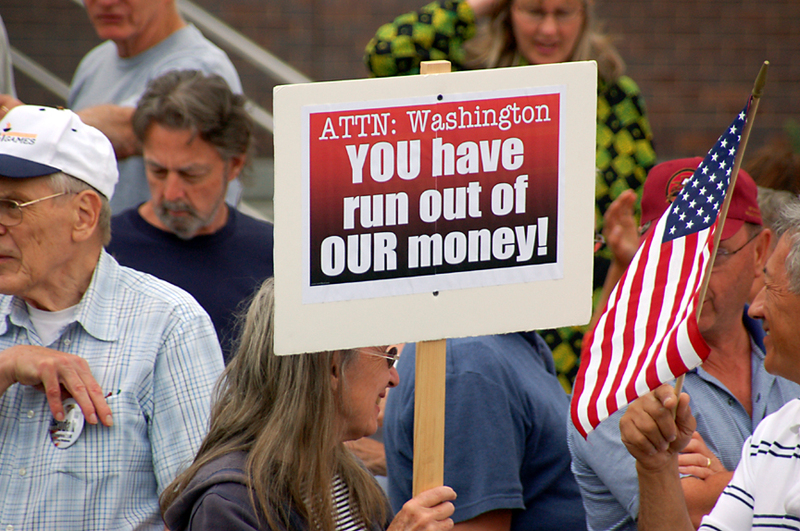 But how many of them live and vote in the district -- why'd they need to be bussed in? Geez, are coordinated colors a positive, or negative statement in this environment? Bruce Gretz of West Newbury made his own sign. 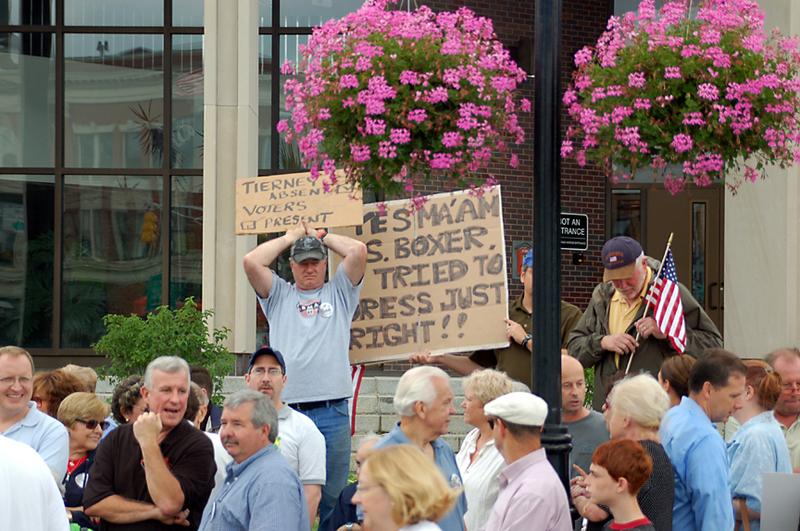 He told me he didn't want a town meeting, he wanted Tierney to just vote for ObamaCare, constituent opinion be damned. 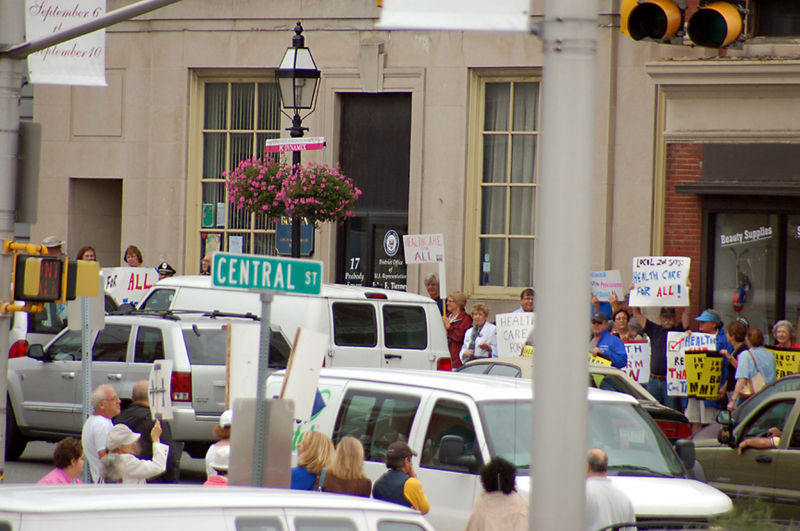 Across Peabody Square in front of the district court, constituents held signs calling on Tierney to listen to their voices. 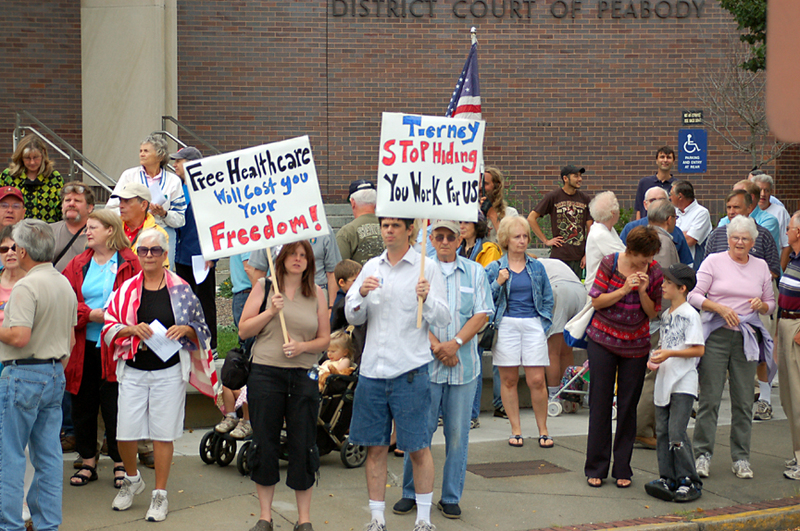 While the Tierney troops demand government takeover to health care, citizens who organized this demonstration asked only to have their congressman hear their voices before he votes. 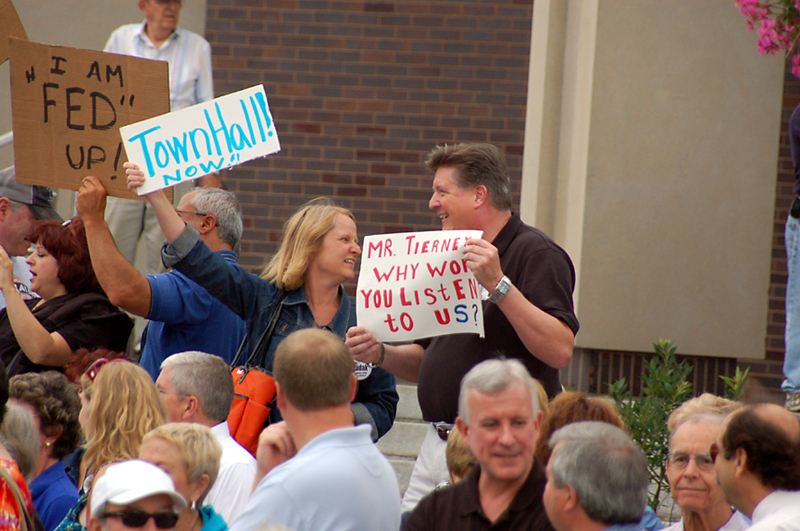 Somehow Tierney and his troops got the citizens' message wrong, unintentionally or otherwise. 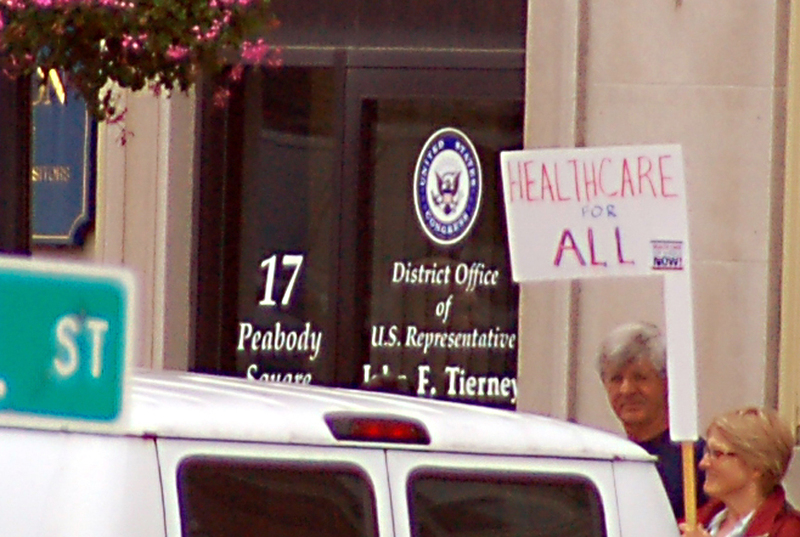 Well over a hundred average citizens showed up on their own to demand their congressman listen to them before voting against their interests. as more and more arrived, taking time away from jobs and daily routines. 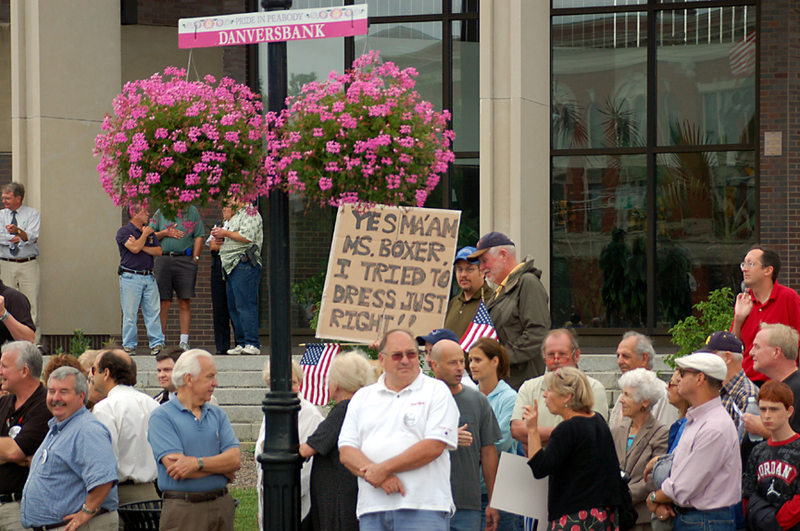 Todd Feinberg, WRKO talkshow host, speaking with some citizens. 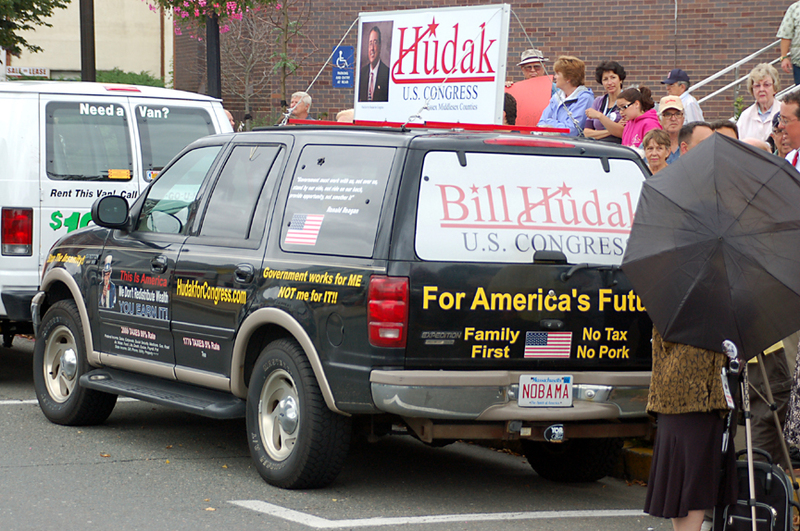 Bill Hudak for U.S. Congress campaign vehicle, which gets him around the district as he takes on John Tierney. Note the license plate!